There are thousands of social media sites are available that people are using in the world but I point out 25 top platforms. Human’s by default has been programmed to be more socially active for some certain extent. People all around the world always looking for some best and great ways to connect and networking with their friends and family members. Internet provide different social media platforms that helps those people to connect to each other and share their mind thoughts, their memories, like status, photos, videos etc. Social media networks are the major resource for both large and small businesses that always looking to promote their products and brands to the world online or offline. Business owners can easily find a great ways on these platforms to use paid advertising and getting their required results. They can use PPC Campaign, CPM Campaign, Banner Advertisements, Affiliate Marketing and many other marketing techniques through social media. After the major use of social media’s, it becomes the second largest resource to getting huge number of traffic to your websites/blogs and getting many new customers after search engines. People more prefer social media sites than search engine to find their friends, thoughts, and everything on the internet. For this purpose I collect out List of 25 Best Social networking Platforms that people are using all around the world and these are more beneficial for you and your businesses. 1 What are Social Media Sites? Social media are the computer based internet technologies that helps individuals, companies, small or large businesses, Governments, and all other organizations to share their thoughts, information, ideas with each other and also promote their products and reach all around the world. Social media sites are much different than other electronic media’s such as TV, Paper Based etc in many different ways including their frequency, reach, performance, usability etc. Below is the list of top and major active social networking platforms that more people are using to share their thoughts, information and ideas with their friends and families. 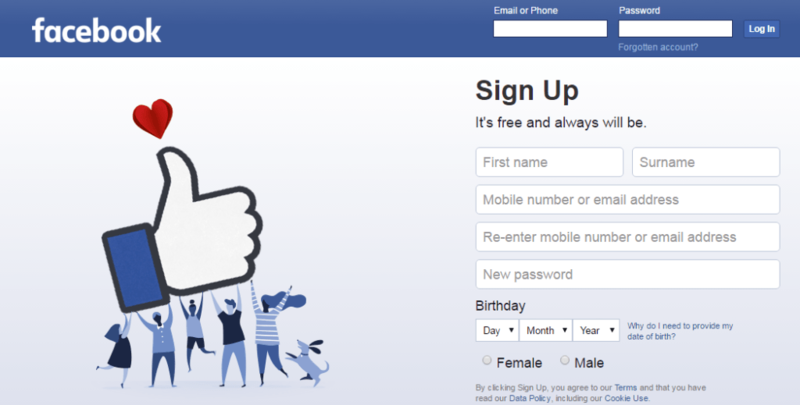 Facebook is the world most usable social networking website which has more than 1.71 billion monthly active users. It is founded in Feb 2004 by Mark Zuckerberg with their four other classmates friends at Harvard University, USA. It is a for-profit corporation and the most popular online social media service based in California, United States. Initially it was limited to Harvard Students only, but after it’s success, they expanded it with the world.Now it is the world No.1 social website. Twitter is an online social media platform and also known as the micro blogging platform. People use Twitter for sharing short messages like up to 140-50 characters long. In Twitter site, this message is known as “Tweets”. Twitter becomes the world biggest social website with 25 offices all around the world. Twitter was created by Jack Dorsey, Evan Williams, Biz Stone and Noah Glass and launched in July 2006. Twitter has more than 310 million monthly active users worldwide. YouTube is an amazing and most powerful & popular video-sharing website which was founded by Feb 14, 2005 by Steve Chen, Chard Hurley and Jawed Karim, who were all early the employees of PayPal. In Nov 2006, YouTube was bought by Google Company for US$ 1.65 Billion. It’s headquarter is in San Bruno, California, USA. YouTube slogan was very beautiful “Broadcast YourSelf”. You can create YouTube account free of cost using your Gmail ID, and upload your videos and share with the world. 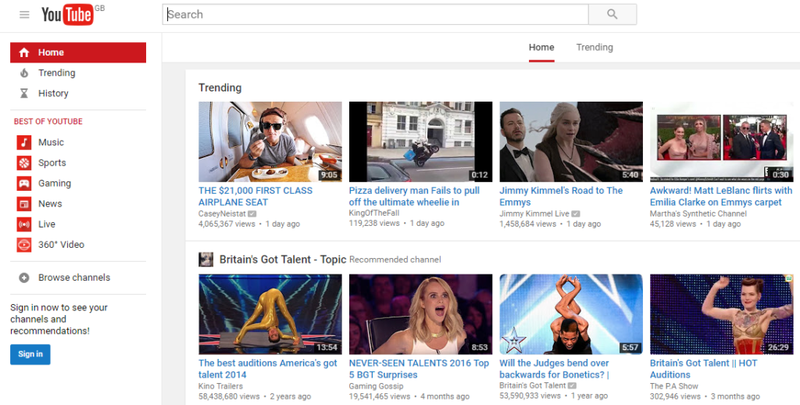 YouTube website used by all around the world and mostly used for entertainment purposes. LinkedIn which is officially known as “Linked In” with others. It is a business related social media platform. It was founded by Reid Hoffman, Allen Blue, Konstantin Guericke, Eric Ly, Jean-Luc Vaillant on Dec 14, 2002 and officially launched in 2003. LinkedIn has more than 433 million registered users worldwide. It is available in 24 different languages, called multilingual. It’s main headquarters in Mountain View, California, USA. LinkedIn slogan is very awesome “Relationship Matter”. 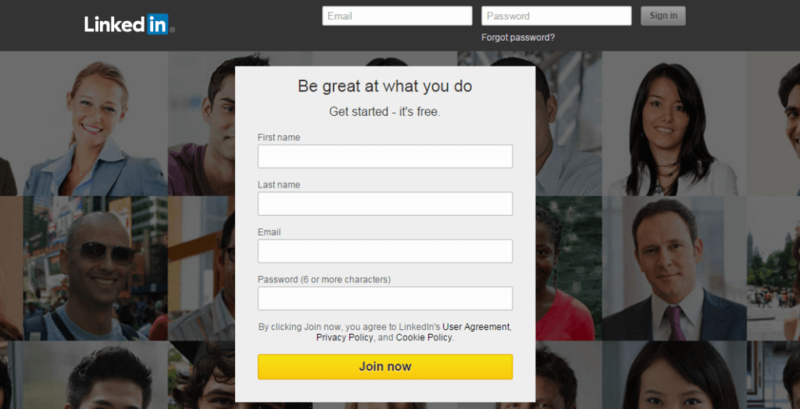 People can use LinkedIn to linked with other professional and business owners and also finding jobs and sharing jobs. Google provide the popular and very beneficial social media platform called “Google+” which is also known as Google Plus. It is a very popular site because it is owned by Google itself. 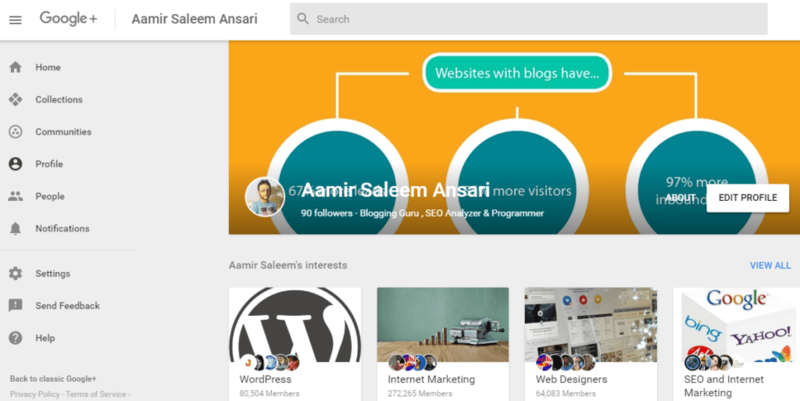 Google+ launched in 2011 and becomes the user choice on the internet. According to Larry Page, Google Plus gets 40 million users within 2011 which shows it’s popularity. People can create Gmail account and use this service. You can create communities which are just like Facebook groups where you can share your ideas with other members. In SEO (Search Engine Optimization) points of view, Google+ is my favorite and best choice and marketers widely use it. Pinterest is a photo sharing website based on both web and mobile application. It is available in many different languages but the original language is English. The website was founded by Ben Silbermann, Paul Sciarra and Evan Sharp. Pinterest has more than 500 employs working days and nights to improve it. It’s main headquarter in San Francisco, California, United States. 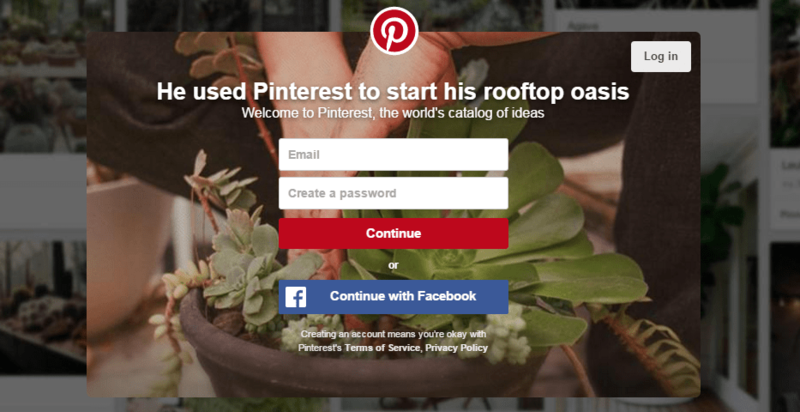 Pinterest is free website which is used by anyone after registration. You can upload, save and manage images which are known as “Pins” and the collection is called “Pinboards”. Pinterest has more than 70 Million registered users worldwide. It’s Alexa ranking increase day by day and it becomes the world biggest and popular photo and video sharing site. Instagram is a mobile based online photo sharing, video sharing social networking platform that provide the facilities to users to take snaps, pictures, images and videos, and share them publicly or privately with others. In Aug 2015, it’s latest version 7.5 was released, that allowing users to upload any type of media captured in any aspect ration. 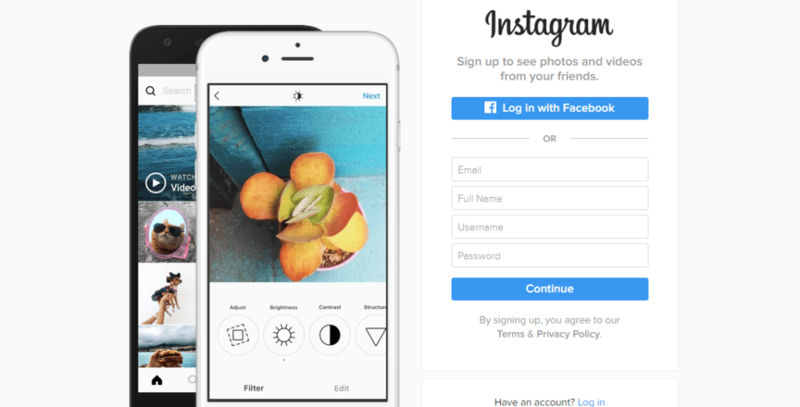 Instagram was created by Kevin Systrom and Mike Krieger and officially launched in 2010 as a free mobile app. Tumblr is a micro-blogging platform like Blogger and known as the top social media site. It was founded by David Karp in 2007 and owned by Yahoo! since 2013. People can create free accounts and within single account, create free blogs and share/post multimedia and other contents. Bloggers can also create private blogs which is not available for public. According to latest report of Tumblr, they hosted over 312.2 million blogs worldwide. People also use Tumblr their mobile devices by using their apps. Tumblr becomes the popular blogging platform after Blogspot which is owned by Google. Vine is a just like YouTube, a video short video sharing site. It only provide the facility to share upto 6 seconds long looping video clips with others and anyone can seen it. Vine was started in June 2012 by Dom Hofmann, Rus Yusupov and Colin Kroll and Twitter acquired it in Oct 2012, just before it’s launch promotion. Generally, this app is available in 25 other different languages and it’s size is very small only 14MB. All operating systems support this app like iOS, Android, Windows, Phones, Windows, OSX and Xbox One etc. Flicker is a video/photo sharing hosting site where you can create free account though Yahoo Mail and share your photos and videos. It was created by Ludicorp in 2004 and acquired by Yahoo Company in 2005. Due to digitalization of internet, it becomes the more active social media community which is used by world photo researchers, image editors, and bloggers too. Flicker website available in various different languages like English, Chinese, French, German, Korean, Spanish etc. It is completely developed in Java / PHP. According to reports, Flicker had approximately 95 Billion+ registered users and more than 7 million new images uploaded on daily basis. Reddit is a social media site, web content rating website. Reddit users can share their texts and links contents and vote other contents up or down to determine their position on the site’s pages. Reddit was founded on June 23, 2005 by Steve Huffman and Alexis Ohanian. It contains 78+ employees and it’s famous slogans is “The front page of the internet”. In 2016 latest report, Reddit has 542 Million Monthly visitors (234 Million Unique Users). Reddit was founded in University of Virginia roommates in 2005. You can freely use Reddit website using email ID and use all it’s services. 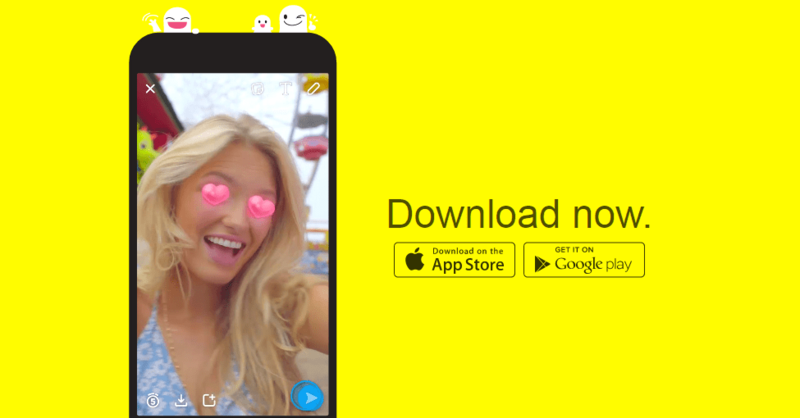 Snapchat is a messaging and multimedia mobile app. It is became more popular than many it’s competitors. Snapchat was founded bu Sep 2011 by Evan Spiegel, Bobby Murphy and Reggie Brown. Three of them are the students of Stanford University. The headquarter located in Venice, California, United States. You can freely use this app on your smartphone devices. Snapchat is primarily used for creating multimedia messages which is referred to as “Snaps”. It is consist of a photos or videos. You can also use many effects and filters on your videos and images and share with others. Whatsapp Messenger is a instant messaging mobile app which is used by smartphone users worldwide. People use this app to send text messages, videos, images, and audio messages to other users using their own standard cellular mobile numbers. Whatsapp founded in Jan 2009 by Brian Acton and Jan Koum who both are the former employees of Yahoo!. It’s headquarter working in Mountain View, California, United States. As of Feb 2016, Whatsapp has more than one billion users worldwide. This numbers making it the most popular messaging application. Whatsapp acquired by Facebook Inc. on Feb 2014. Baidu Inc. was the most popular web services company in China. It’s headquarted at the Baidu Campus in Beijin’s Haidian District, China. Baidu was founded in Jan 1, 2000 in Beijing, China. It is search engine based company which has indexed billions of web pages including images and videos and other multimedia links. StumbleUpon is a discovery engine just like MySpace, Digg and Delicious. People finds and recommends web contents according to their taste and interest. People can discover different things like Web pages, Links, Photos, Videos that other people bookmarked. You can also use it’s extension with all browsers like Chrome, Firefox, Opera, Explorer etc. StumbleUpon was founded by Garrett Camp, Geoff Smith, Justin LaFrance and Eric Boyd in Nov 2002 at the University of Calgary.It becomes the best social bookmarking site. Periscope is a most popular 21st century live video streaming app for smartphone users especially for iOS and Android users. Periscope was developed and launched bu Kayvon Beykpour and Joe Bernstein. It was acquired by Twitter Inc before it’s launch in 2015. Many people says that is was acquired by Twitter in $75 to $100 million. Periscope becomes the popular and top social networking site that provide users the free online video streaming platforms. Quora becomes the world largest and most popular question-answer community where questions are asked, answered and edited by it’s registered users. Quora Inc was founded in June 2009 by Adam D’Angelo and Charlie Cheever and officially available for all public in 2010. Angelo worked with Facebook and resign from his post in Jan 2010 and create Quora. Quora has millions of users all over the world. Quora also provide the official iPhone app in 2011 and Android app in 2012 for smartphone users. FourSquare was created in 2008 and officially launched in 2009 by Dennis Crowley and Naveen Selvadurai. It is a mobile app which provides search results for it’s users. It’s slogan is “Foursquare helps you find places you’ll love, anywhere in the world”. It becomes a social networking site due to it’s function of sharing locations. It has More than 45 Million users and over 200 employs working day and night. It headquarter is in New York, United States and operated in many different languages like Russian, Turkish, Spanish, Thai, Japanese, Italian, Korean, German, French etc. Myspace is a popular social networking website which offers users to bookmark their web pages, links, videos, photos etc. Using this site, you can get huge amount of website traffic, because people widely use Myspace for exploring new stories everyday. It’s headquarter available in Beverly Hills, California, United States. It is available in 14 different languages. It was founded in Aug 2003 by Chris DeWolfe and Tom Anderson. Delicious is a very famous social bookmarking and media sites where people bookmarked their web pages and explore others bookmarked webpages. Delicious was founded in 2003 by Joshua Schachter and Peter Gadjokov . It is acquired by Yahoo! in 2005. It becomes the more popular social bookmarking media site worldwide. Digg is just like a Delicious site a wonderful and most popular social bookmarking site with a curated front page. You can find almost all types of web stories like political issues, trending topics, science, technology, and more viral contents. Digg was founded in Nov 2004 by Jay Adelson and Kevin Rose. It was launched in its current form on July 2012. It also provide the options to share contents to other social platforms such as Twitter and Facebook etc. Meetup as it’s name show that people will meet here. It is an online social networking portal that provide the facility to group meetings all around the world. People can find and join other groups according to their taste and interest, like Games, Movies, Health, Foods, Technology etc. Meetup founded in 2002 by Scott Heiferman and Matt Meeker. People who organize groups, Meetup collect some fees and that was it’s main source of income. Registration is compulsory for using MeetUp Community. Skype is a free application for video calling worldwide. You can use internet connection for video chat all around the world. Users can also share images, texts, videos, audio and many other contents via Skype. Skype was founded in 2003 by Swede Niklas Zennstrom and the Dane Janus Friis. Microsoft bought this company in 2011 for $8.5 Billion. Skype is available on 108+ different languages. You can use Skype after creating your account, adding your friends and family members and getting the free video calls services and sharing your ideas live with others. So this is the list of 25 top social media platforms people are using worldwide. You can use all these websites for networking with others. 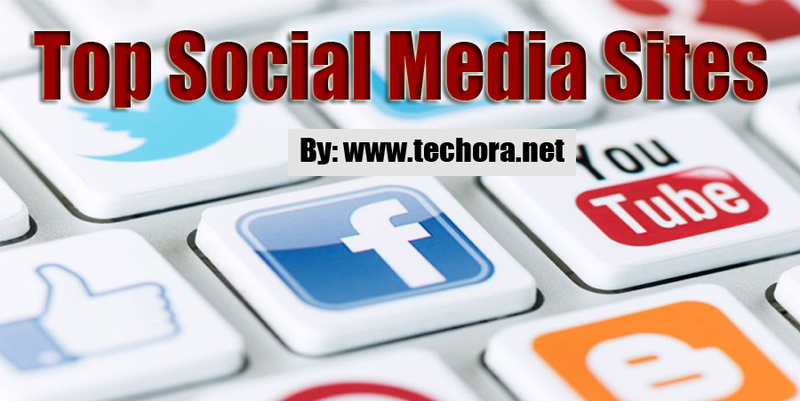 You can easily share your thoughts, ideas, information’s, photos, videos with others using these social networking sites.